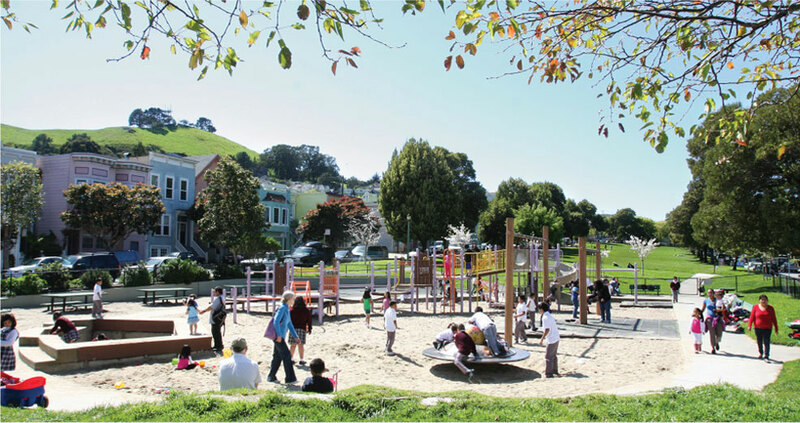 Precita Valley Neighbors is a San Francisco Parks Alliance group, whose non profit status is the San Francisco Parks Alliance. 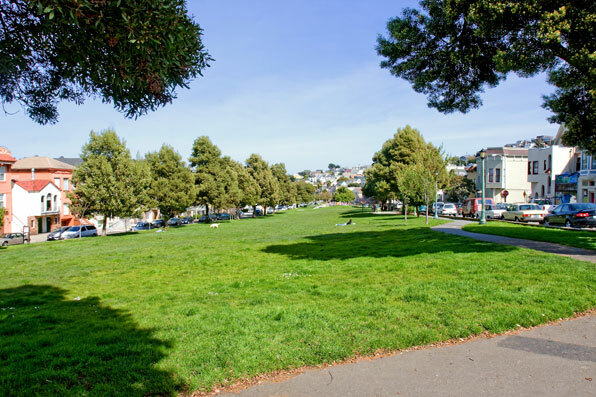 Neighbors meet on a monthly basis to address Precita Park concerns, volunteer park clean ups, and improve the community and merchant visibility of this lovely and lively neighborhood. 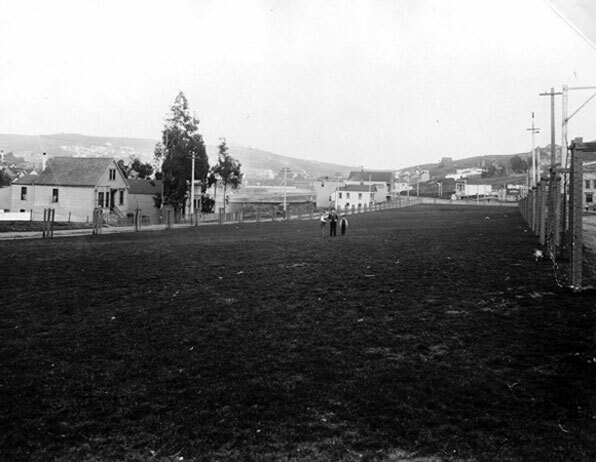 Precita Valley Neighbors became a SF Parks Alliance group in 1994. 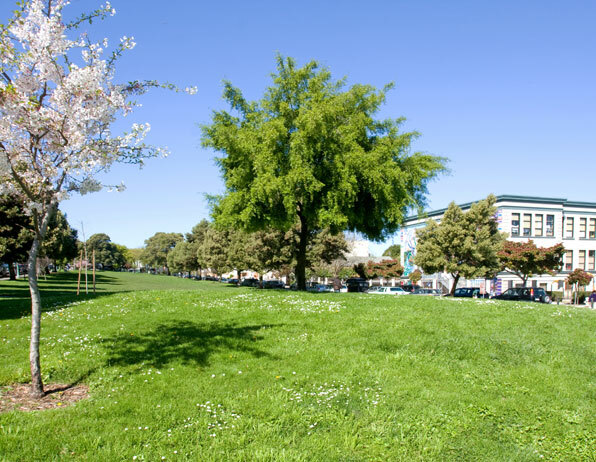 Our mission is to preserve Precita Park and its adjacent community. Founded by local neighbors to organize the community for much needed improvements in Precita Park and its adjacent community. Filmed tenant living conditions in Bernal Dwellings. Film was leaked to the media which led to the Mission and Bernal Heights housing organizations to push for HOPE VI housing funding for rebuilding Bernal Dwellings. Precita Park major campaign grant to landscape the Park, install period lighting, paths, and rebuild the Childrens’ Playground. Commemoration of the green bench made of melted gun metal honors the murdered youth Silvia and Carlos. Art tiles made by neighbors and Precita Mural Eyes. Precita Park with Precita Mural Eyes starts annual Community Mural Arts Festival. Independent film festivals show films in the park, Charlie’s Café opens. Butterfly Garden awarded for habitat and signage. Community Challenge Grant awarded for extending the Butterfly Garden to the Precita/Alabama Triangle and creating native habitat at the Precita/Folsom bulbouts. Community Opportunity Fund awarded for landscaping Precita Park and Childrens’ Playground improvements. Precita Valley Neighbors awarded Community Action Grant to build a Community Kiosk. Precita Valley Neighbors does not share or sell member information. Joining Precita Valley Neighbors means you will be receiving monthly emails and occasional alerts. It’s free • It’s fun • Meet your neighbors! Check out more valuable park resources below! Precita Valley Neighbors is dedicated to organizing volunteer cleanups and community events in Precita Park.